1. Heat a frying pan, add ghee and when it melts mix diced pumpkin pieces and fry for 1 or 2 minutes. 2. Pour milk and cook in reduced flame closing with a lid. 3. When moisture is completely absorbed, add grated jaggery and cook till dry. 4. Add other powdered ingredients, coconut at the end and remove from fire. 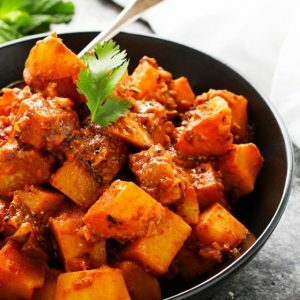 Feel free to comment or share your thoughts on this White Pumpkin Curry Recipe from Awesome Cuisine.